At Oakridge, we enjoy local trips so we walk whenever possible! We always make sure we walk in pairs and always stay with our partner. We are put into groups and walk with our group leader. When we are walking, we make sure we are quiet so we do not disturb our local neighbours and always walk on the side of the path that is furthest from the road. If we see another person walking on the road, we always stay to one side to allow them to pass and we do the 'X-Factor' when we walk past a dog. This is so that we do not touch a dog that may be unfriendly. We have been on many walking trips recently. Some Year groups went to the cinema. All the children loved this trip because we watched a movie in school time! 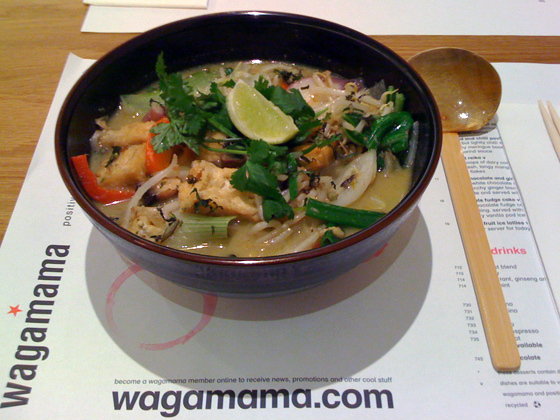 We have also been to Wagamamas. We ate delicious Japanese food and even got to keep our aprons! It was an amazing day out and we will definitely go back with our parents! You should go too!